If you live in a community with stores selling Islamic clothes, books, videos, games, etc. check them out first. 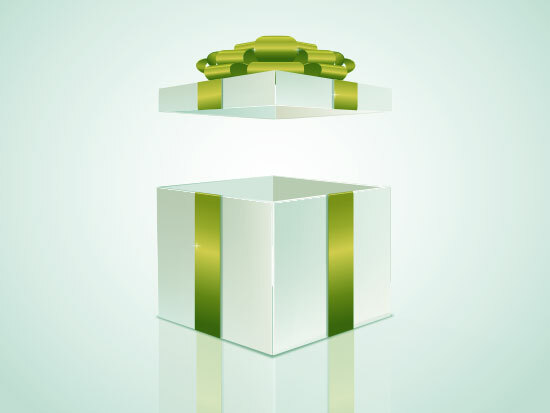 Make a suitable budget to gifts according to the age and interest of the person involved. If incase it's too late to consider checking for new stores for gifts, aim for educational books, videos and games, especially for kids. Gifting a Quran is always a great idea to anyone you love. It will be cherished and valued throughout their lives. The aim is to make your loved ones use and think about their gifts. Some people may find this rather corny, but it's great for busy parents, kids, brothers, sisters, etc. you can make a fancy coupon on the computer which entitles your loved one or friend the gift of your time either on Eid day or within that week. It can be an hour, two hours, as long as you can make time for. Leave the activity you'll do together up to them. Make your gift to your family a special meal at a good Muslim restaurant. make sure you get together with everyone, and have a great time eating the delicious cuisine meal. Offer your service to others. You can always offer to wash the family car before Eid as a present. Or to baby-sit your sister's kids so she and her husband can spend some quality time alone together on Eid weekend. Whatever you decide, you'll give a gift that doesn't require lots of money and that will Insha Allah be really appreciated. If you've got kids in the family, use the backyard for afternoon games ,get EVERYONE involved, especially parents. Make formal invitations for this by hand or on computer. You can do beanbag races, or any other creative game you have in mind. Buy sweets and other goodies. Get a few of each person's favorite chocolate bars or candies, then tie them together with fancy ribbons, a balloon and an Eid card with a special message. If you are good with the camera, take photographs of the moon on the night before Eid if you can and catch the Hilal from different angles. Blow up the best photograph and frame it as a gift for the family to hang up in the living room. You can also video tape these last days of Ramadan and put together a hilarious video including shots of the family waking up for Suhoor, getting ready for Eid, etc. If you're good in the kitchen, bake a really fancy cake, or make a sweet everyone enjoys. Make it the feature dessert of the family Eid day meal. Gift money. It's the least you can do If it's really so late. But I'm sure you won't let it go this time!